We are hosting a private shindig to get ready for Contact and hang with friends. This lineup is stacked! I’m honored to share the stage with these fine gentlemen –> Hipp-e, Alien Tom & Cris Herrera! Don’t miss out on this intimate weekend-long vacation with Native Alien. 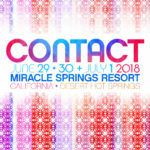 Get your CONTACT hotel packages now to join us for an unforgettable, therapeutic musical adventure. Saturday, March 24th, I’m DJing 12-1 in the gallery at Exchange LA for Insomniac presents Inception feat. 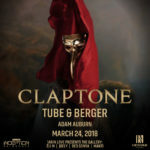 Claptone & Tube & Berger! Who wants to go!? Let’s do this! 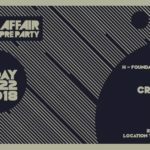 I haven’t played in Los Angeles in a minute! 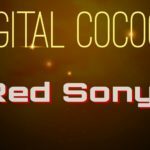 Friday, March 9th, 2018, Join us at Kava Lounge for Digital Cocoon featuring special guest DJ Red Sonya, plus resident DJs Big Hugs, Jan Ozlanski, Hokum, Will Lavin. Great music and great vibes! 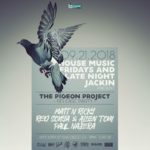 House and Techno all night! 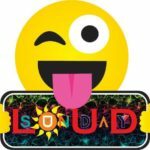 Sunday, March 11th, Levinson Group Presents Sunday LOUD! Join us at Brick bar in Hillcrest from 12pm to 8pm for this Sunday Funday event launch party! Great house music with the best vibes indoors & outdoors. Prizes and gift giveaways all day. Vendors, face painters & more! 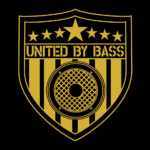 Soul Work and United By Bass cordially invite you to Spin Nightclub on Saturday, April 7th for a night of banging House & Techno with Jesse Perez, Red Sonya, Donald Thump & Kennos. Get your presale tickets now! 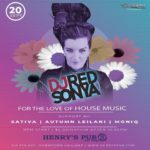 Wed 2/14 San Diego’s most established House Music weekly proudly presents another full night of dancing at Blonde with Special Guest: RED SONYA Along With Residents: GOMEZ – JOE PEA. 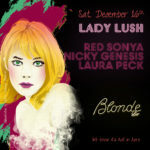 Don’t miss Lady Lush’s monthly house & techno dance party at Blonde featuring guest DJ Nicky Genesis from Las Vegas, plus and yours truly holding it down. 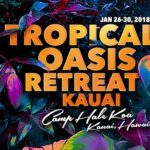 Alien Tom, Mark E Quark and I will be representing San Diego at Tropical Oasis Retreat Kauai January 26-30 and we invite you to join us for an adventure!